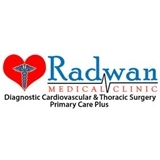 Radwan Medical Clinic (Katy) - Book Appointment Online! Medical Care and early diagnosis of heart, lung and vascular disease in connection with chronic diseases such as high blood pressure, Diabetes and high cholesterol with all aspects of excellent health wellness, including patient education and close follow up is the key for healthy life. Our Mission at Radwan Medical Clinic is to commit ourselves to work with the patient and give enough time and effort for each individual to reach maximum medical health care. Please feel free to ask and tell your doctor about all aspects related to your health and health education. A full range of the highest quality laboratory tests and diagnostic testings are performed using state-of-the-art technology to ensure an accurate diagnosis and the development of the most appropriate treatment. Always a pleasant experience, well trained staff works like clockwork.